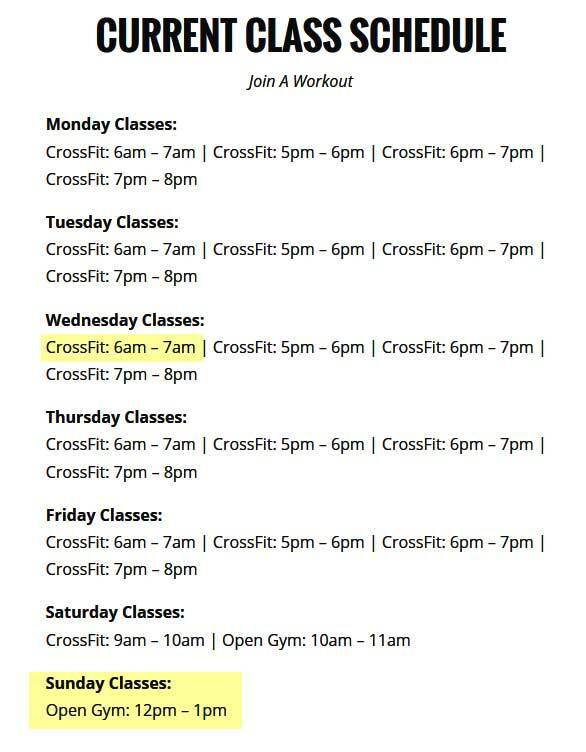 1) We will officially be open for 6am class on Wednesdays starting this week. (5/11/16)! 2) We are adding another open gym hour on Sunday for you die hards and those of us who want to lift more. Beginning next Sunday (5/15/16)! Open gym hours are for members or paid drop ins only. 3) No check in is required for Saturday’s 9am class! This is the only hour that does not require a check in. 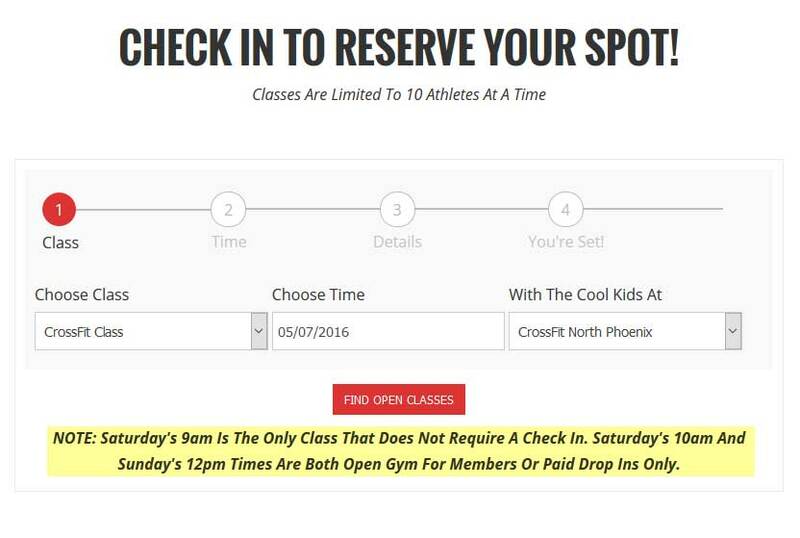 Check in at http://crossfitnorthphoenix.net/checkin for all other hours. 4) We are looking into bringing the 4PM class back in the next couple weeks. Who would benefit from being able to workout at 4PM? Comment below and be sure to share this with all your friends! 5) This week we start a new 10 week cycle… The programming will be designed to both strengthen and condition you to a higher degree. Baseline testing will begin Monday. If you miss, you can make it up at open gym on Saturday or Sunday. We will work Squats, Press, Deads, Thrusters, Pullups in that order this week! Till then, eat, sleep, and ready yourself for a fantastic opportunity to better yourself in the fun environment that is CrossFit North Phoenix!